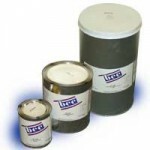 BCC Products, Inc. has been making paste materials for over 30 years. Our materials are formulated to be the best at doing what they do. From one of the first fillers approved by Federal Aviation Regulations (FAR) and the Boeing Company to one of the easiest to use, our BC4544 acts like carvable wood. You can’t go wrong with our paste materials.